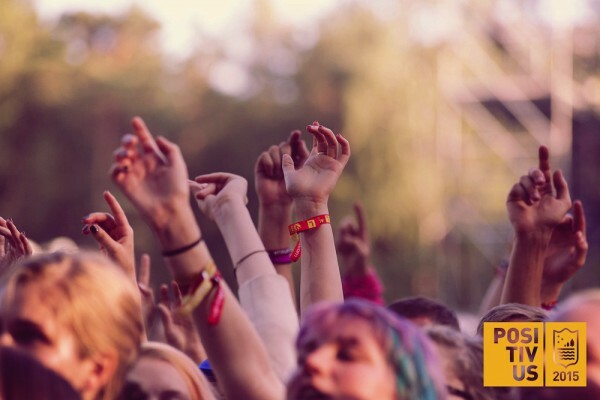 The Positivus Festival begins already this weekend – are you ready? To avoid crowding at the Festival’s entry, where the tickets will be swapped for wristbands, you can receive the wristbands in Rīga in the Palladium Concert Hall. Also, we offer a competition: find your wristbands from previous years’ Positivus festivals and win the official Positivus T-shirt. The Festival’s wristbands can be received on Wednesday, July 15, and on Thursday, July 16, from 12.00 till 20.00, and on Friday, July 17, from 12.00 till 18.00. Only three-day tickets will be swapped for the wristbands. Every ticket owner must come personally as the wristbands will be closed around your wrist there. If you have purchased your ticket with the ISIC discount, you must produce your ISIC card when receiving the wristband. Palladium Stage: Vök, Rangleklods, Soak, Jennie Abrahamson, Triana Park, Sigma, The Big Bluff, Rīgas Modes, Pienvedēja piedzīvojumi, Moontalk, Garbanotas Bosistas, Laime Pilnīga, DJ Jonathan Toubin, Badass Yuki, cirkl, Curly Strings, Gorõ Lana, Lexsoul Dancemachine, MiaMee, Tallinn Daggers, DJ Toms Grēviņš/ Oded Kafri, Neon Saturdays, Ryga, Tora.